Aero Express is an Authorized Distributor for the Cable Pro CP1 Cable Tester. 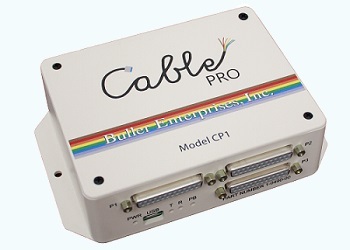 Aero Express will buy, sell, and trade the Cable Pro CP1 depending on your needs. The Cable Pro CP1 tests not only one connection, but all possible combinations to verify correct as well as identify missing and miswired connections.